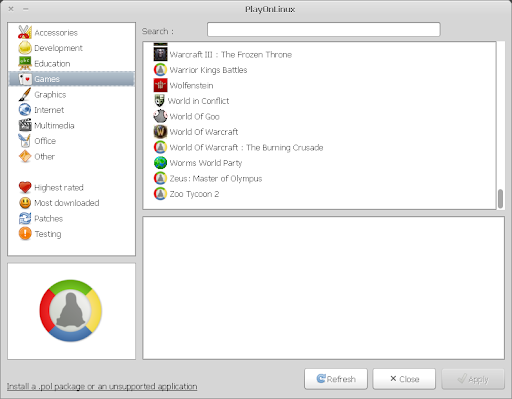 PlayOnLinux 3.7.6 has been released, this version finally fixing an incompatibility issue with Ubuntu 10.04 Lucid Lynx which caused the install window to crash when the user clicked the Install button. PlayOnLinux is an application based on WINE which allows you to install many games and apps designed for Windows. Thanks to Czytelnia.ubuntu for the tip!